Joe died the way he lived, simply, unpretentiously, in complete serenity, with a twinkle in his eye, but above all with the full love of his family and friends. The internationally renowned visual artist Joe Fafard has died at his Lumsden home early Saturday morning. After losing his battle with cancer, Fafard passed away peacefully and surrounded by family at the age of 76, according to a written statement sent out by the family late Saturday morning. Fafard was known for his distinctive, oversized bronze and laser-cut steel sculptures which have graced personal and corporate art collections and public galleries around the world. The family will be holding a private ceremony to celebrate his life, with a public ceremony to be announced at a later date. In lieu of flowers, the family asks that people donate to the Hospitals of Regina Foundation’s palliative care services in Fafard’s memory. Fafard was born to French-Canadian parents on Sept. 2, 1942 in the small agricultural community of Ste. Marthe, Sask. which inspired many of his works depicting farm life. Fafard was the recipient of many awards including the Order of Canada and the Saskatchewan Order of Merit. He had also been awarded an honorary doctorate from the University of Regina and received the Architectural Institute of Canada Allied Arts Award. He was also the subject of several documentaries and had pieces of his art featured on a series of postage stamps issued by Canada Post in 2012. 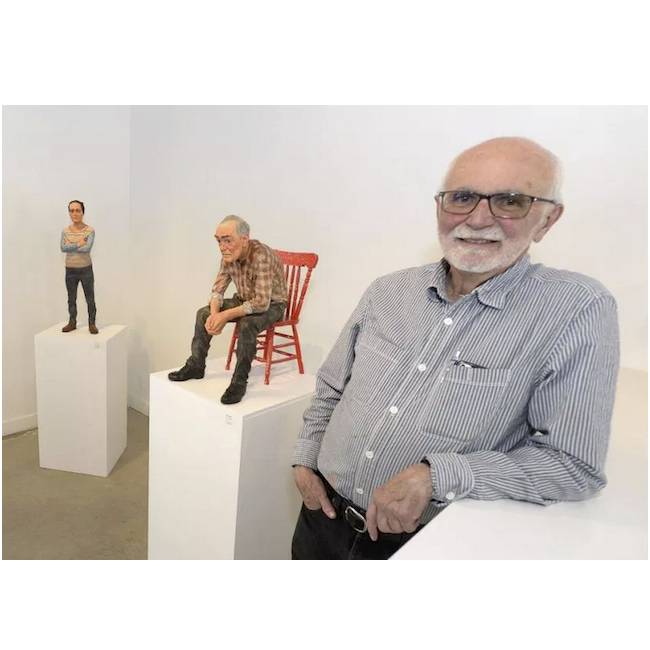 Two of his pieces sold at a Sotheby’s Canada auction in 2011, with a painted bronze piece titled “The Inventor and his Invention” going for $48,000, and a bronze and glass piece named “Table with Hare” netting another $21,600. To view all images associated with this article, please click here.